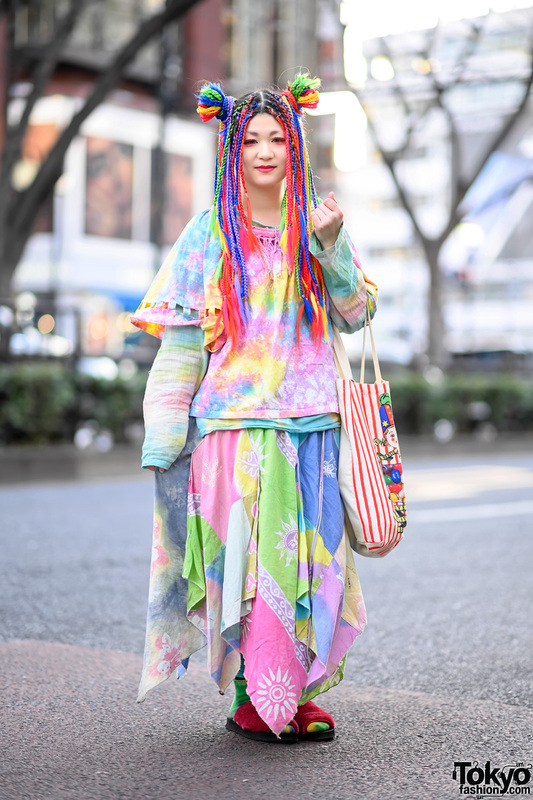 Meet Ryoki, a 17-year-old student who we often feature on our Harajuku street snaps. 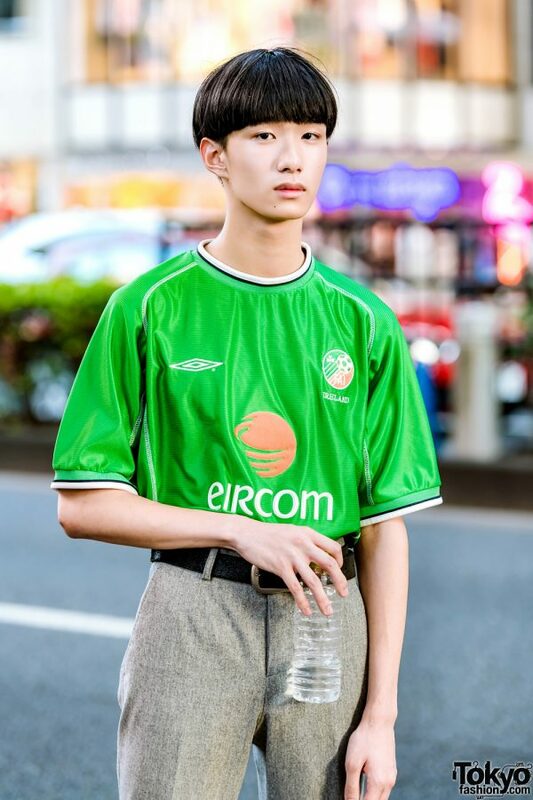 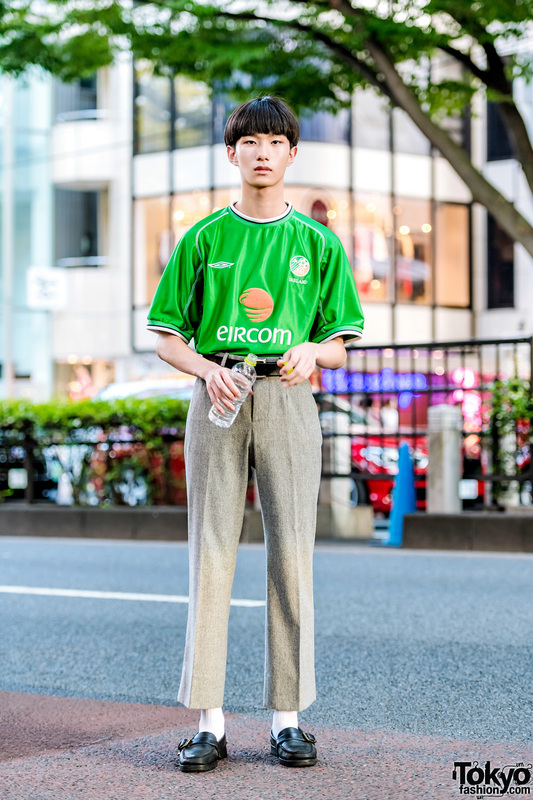 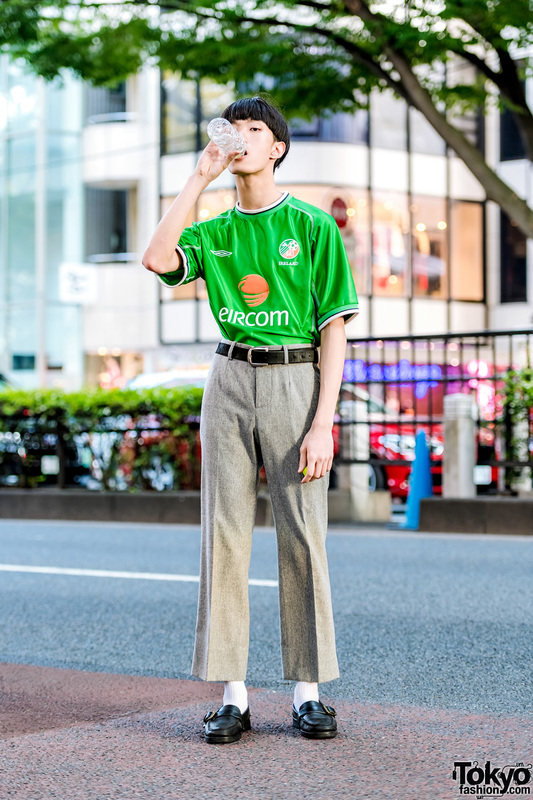 Sporting a blunt bob, Ryoki is dressed in a green Umbro soccer jersey, which he tucked into grey Balenciaga cropped pants and cinched with a Comme des Garcons leather belt. 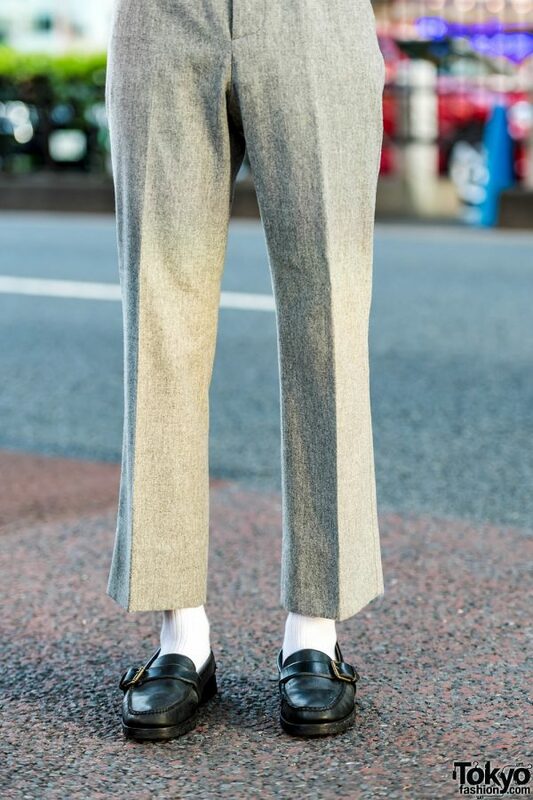 White socks and a pair of black leather loafers from Ralph Lauren rounded out Ryoki’s casual style. Legendary Japanese streetwear brand, Comme des Garcons, is Ryoki’s fashion favorite, and he likes listening to musicals. 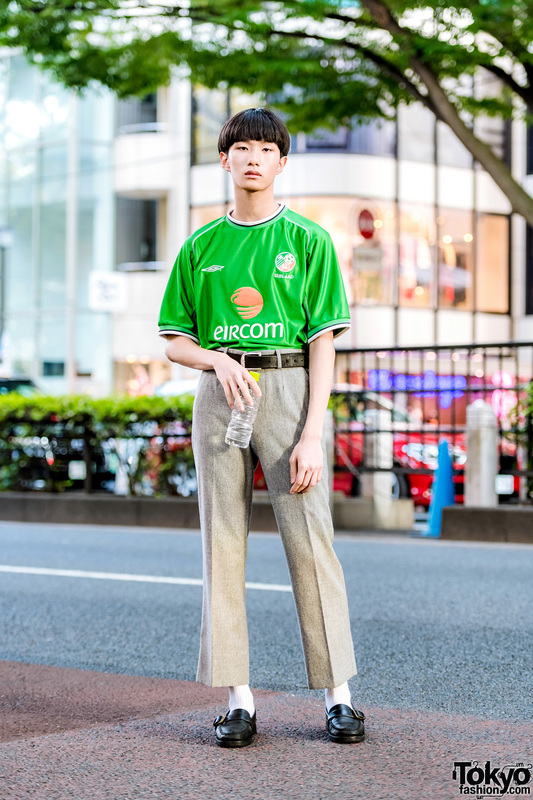 For more of his street styles, follow Ryoki on Instagram.